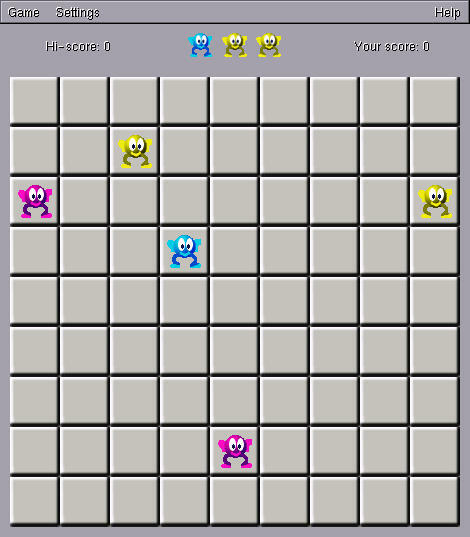 GtkBalls is the clone of well-known DOS game "Lines". 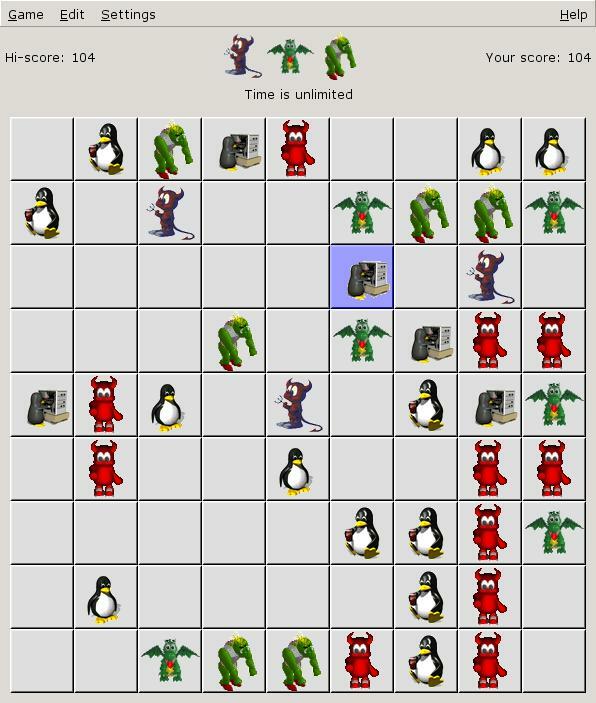 - New theme - "mascots"
- Removed world writable score file. - auto* fixes (PLD), cosmetic fixes, documentation fixes (Debian). - Save game file format changed to plain text. - Score file format changed. Though old format still supported. 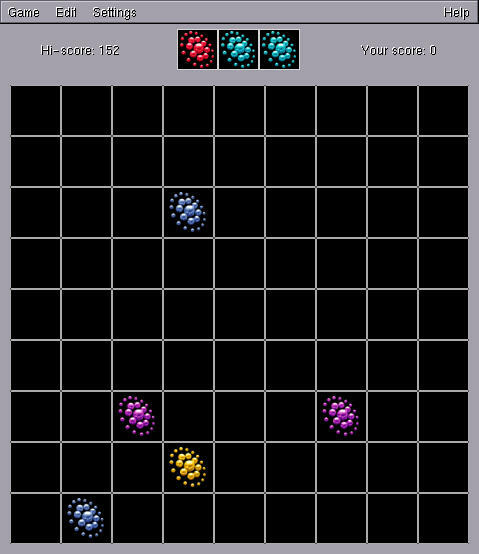 - Fixed the "Undo" bug: after a move resulting in a score growth, the "Undo" did not decrease the score. - New translations: Polish and German. - Dialogs can be closed by hitting "ESC" key. 2001-10-09 Released version 2.0. Added "undo" functionality. 2001-10-08 GtkBalls got new maintainer.